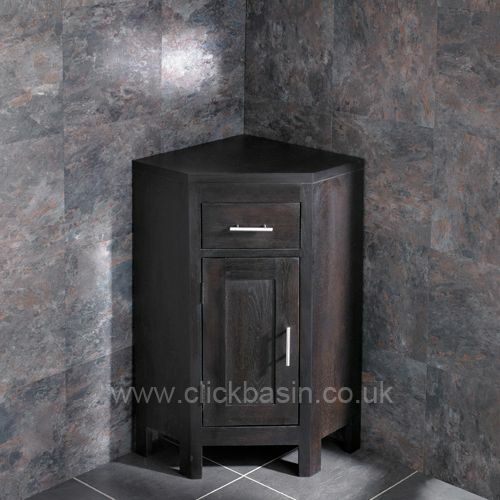 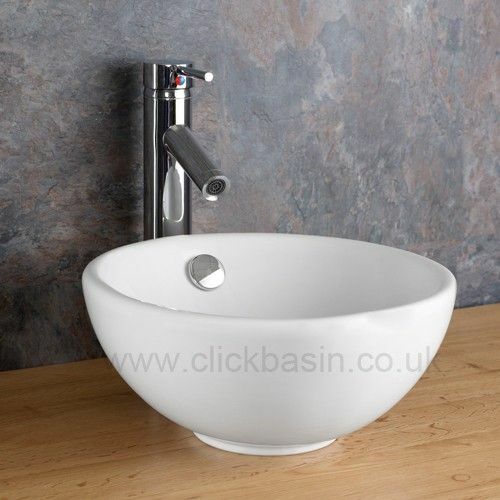 This beautiful solid oak single door corner freestanding basin unit is hand crafted, comes pre-assembled and is a fantastic offering here at Clickbasin. This unit is perfectly designed to fit the smaller room, such as an ensuite or cloakroom and even those of you with limited space in your bathroom. Even though this solid oak single door corner freestanding basin unit is one of our smaller models, it in no way lacks the style and superior quality of our larger models. This cabinet has been finished in a clear, silky smooth tactile finish, much like the rest of our oak cabinet range and comes in our highly fashionable and brand new wenge oak colouring, which has proven to be a real hit. 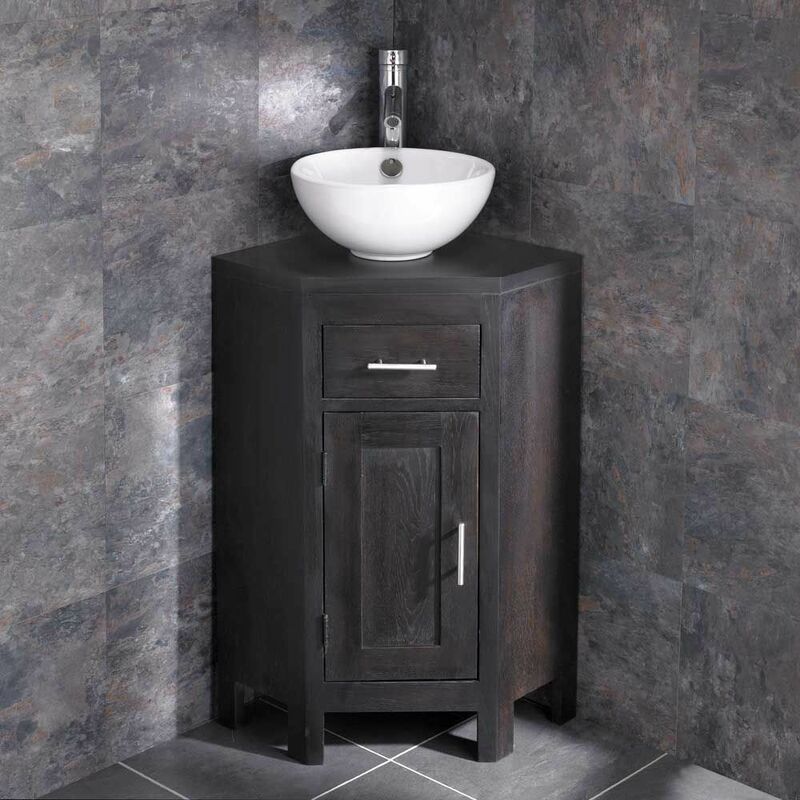 This cabinet oozes luxury, and will fit right in to your classic or modern interior styling and comes complete with basin, high rise tap, push click basin waste and tap hoses. The solid oak single door corner freestanding basin unit is not only extremely stylish, but functional too and comes complete with an interior shelf to maximise usable space and contains a false drawer to hide plumbing. 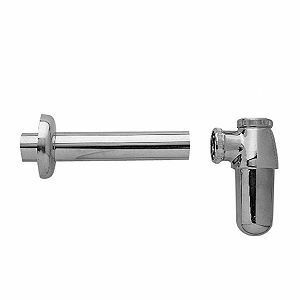 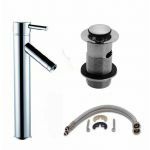 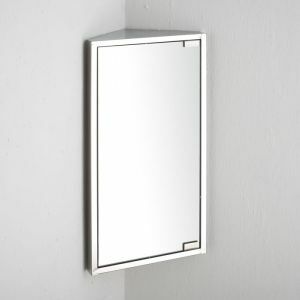 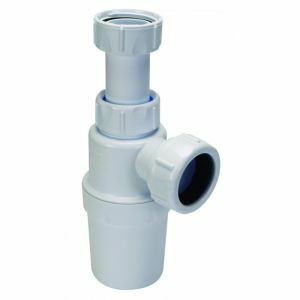 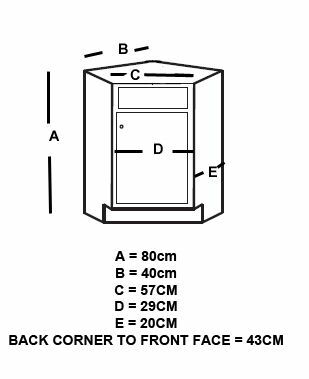 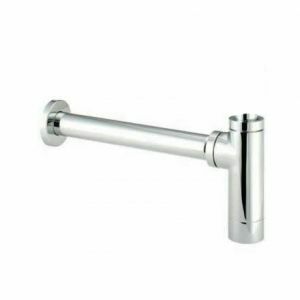 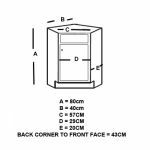 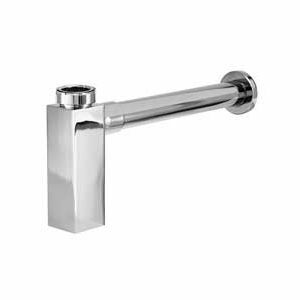 This cabinet will arrive to you ready assembled and undrilled, which will allow you flexibility in mounting the tap and routing the plumbing work. Currently this stylish cabinet comes with free single counter mounted ceramic washbasin, mono basin mixer tap and waste.